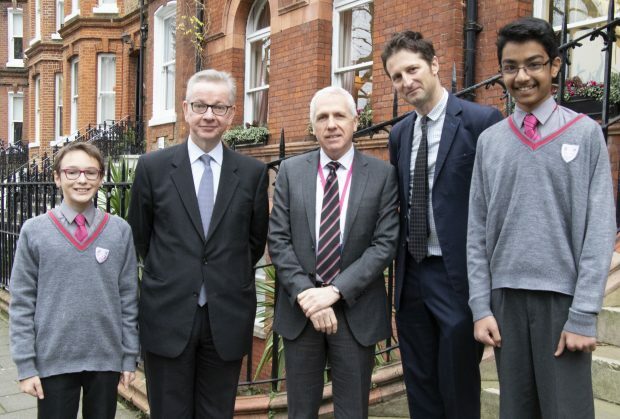 Environment Secretary Michael Gove, Mark O’Donnell Westminster Under School’s Head teacher, Clear Public Space’s Luke Douglas-Home, with pupils from Westminster Under School. Credit: Lucy Jayne Blanchard. 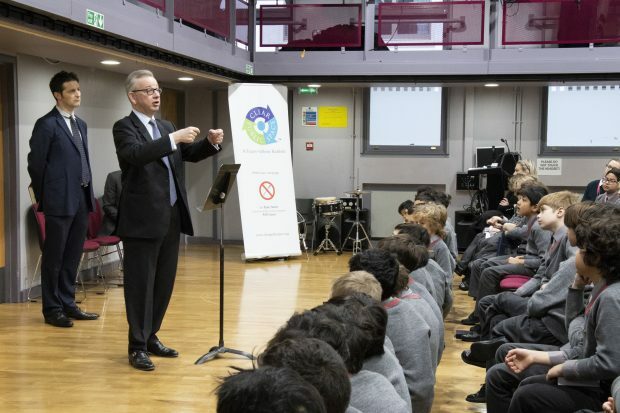 Today, Environment Secretary Michael Gove visited pupils at Westminster Under School, which is active in cutting plastic waste and educating pupils about the impact of single-use plastics on the environment. The Environment Secretary spoke to pupils in this morning’s assembly about government’s commitment and action to fight plastic waste. We want to leave our environment in better state than we inherited it, and it’s great that young people at Westminster Under School are playing their part. I’m delighted the next generation are being inspired join the fight against plastic waste to help protect our precious oceans and wildlife. Government is committed eliminating single-use plastic waste. We have introduced a world-leading ban microbeads in rinse-off personal care products, have taken over 15 billion plastic bags out of circulation with our 5p carrier bag charge, and launched a consultation to extend the charge to all retailers and double the minimum charge to 10p.